"Nobody can eat just one"? about something that I like in home decor. I can't have just one! I HAVE to have a collection. That's the way it is with my monogram art. I couldn't have just one letter A. One in my bedroom. One in the family room. And in the kitchen. One in the computer room. And I fear that after showing you how to make this: You have now started your own collection. After all, nobody can have just one! 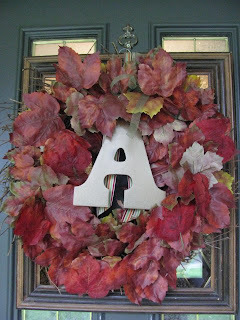 I'd Love to do this, but the letter "A" looks so cool. Ours is "L" and I've had a hard time finding "L's" that I like. Any suggestions? You are right...M's are creeping up everywhere in our home!!! Love all of your A's!!! My favorite is the crackled one! Collections are just the best! 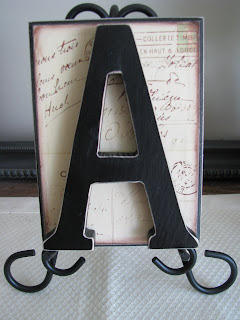 I love all of your A's - each one is different so its all still interesting! I love the combintaion in the computer room. i have a tough time finding "Eeeees"
Your letter "A" looks great in every place! I love it! How fun is that! Yeah, I love my homemade one with the R. This will be a great gift to give to people. I want to make one for my son't teacher. I already gave one away. I appreciate you!! Yep, I have lots of K's around our home. But, I may have to make your craft project. You KNOW I NEED it! Looks great! We are gathering a collection, as well. Oh, I love all your A's. I don't have many B's yet.. but I am working on it..
And I want to give you an "A" for all of those great looking A's. Aaaaa, what an A-mazing collection! Hehe. I love all the A's. I finally made one of your "5 minute projects" this weekend, which I'll be posting later this week. I messed it up, so I'll probably re-do it eventually. Also, I love that fall sign you made! What a great idea using the cloth! All of your A's make my C collection look pretty pitiful. Gonna have to beef it up a bit! I love them all! Especially, the cluster of "A"'s! Thanks for visiting my blog- I LOVE your ideas! You are very creative-more I can replicate!!! I bought two this summer (unpainted), but alas they sit so lonely in the back of my "used craft store." Waiting to be taken out and shown some painting love. I love your A's they look so great I have a few R's I love the look there great. I have even given them away for gifts everyone loves them. 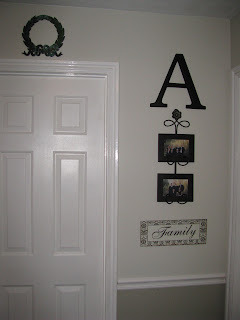 all of your a's look too cute around your house! 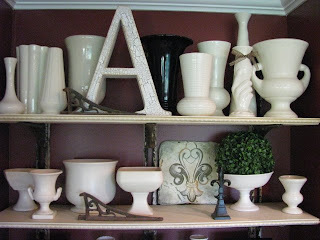 my husband thinks i am CRAZY for wanting an new "H" everytime I see one! They are just kind of hard to find...so I have to grab them when I can! Personalized things just make me happy! I like it that you have a collection of A's. We would have a collection of B's. Humm... Maybe I should do mine with a Bee Hive?! I have my supplies. Just haven't started it yet. Trying to check off some other projects first. I like all of your idea's keep them coming! Oh! That is fun! If you ever want to get rid of some of your A's I will be happy to take them off your hands!! I found some large single capital letters at TJ Maxx (awesome font). I'm going to decopauge one in (just the right) tissue paper. The one in my sewing room will probably have small little roses all over it?? Anyway, I'm with you...I love the whole monogram thing. I really like your monogram art! I haven't started that yet...but there is always tomorrow! Wow! Somebody send this girl a consinent. LOL! That's a lot of A's. I am totally obsessive about having complete sets. I could not just have our "L" all over the house. I would have to have the whole darn alphabet. Yes, I am crazy like that! GREAT! Another blog I love! I will never get a full night's sleep again! :) If you don't mind, I'd love to add you to my list. I have the same obsession....just in 'W'. I think you win on the sheer number though. Love them all! Those letters are classic and never go out of style! I love all your A's! And they are all so different! Too cool! You have such a nice, sedate little initial. I have a W which is kind of wild and crazy and spindly. But I have a few W's hanging around anyway. I've loved letters since the first time I saw an M on Mary Richards wall on the Mary Tyler Moore Show. love them all... and love how you displaped them! I love monograms, too. Yours are all so different. I really enjoy visiting you....love your blog! Your collections are really pretty - I especially loved the crackle A! 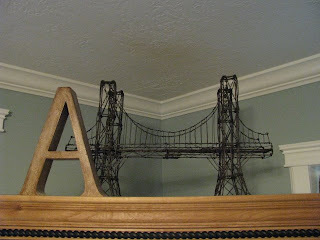 @ sincerely yours--check Hobby Lobby if you have one in your area, they have some great G's. Thats where I got mine...and promptly spray-painted it black. I'm also thinking this would be a great Christmas gift. I love monograms too. Seriously LOVE them~ Your A's are all great! Cute. I like how you've used them in the rooms. I wish I could do this but our last name initial is "F" so not the most positive letter!!! That is soooooo cute! I love how you have placed them all over the home! What a lovely collection ! I don't think you can ever have too many monograms. What a great idea! 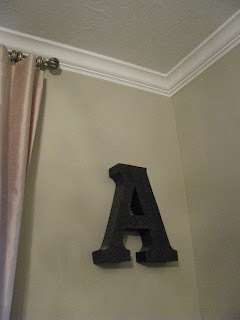 I love how you have decorated with A's. 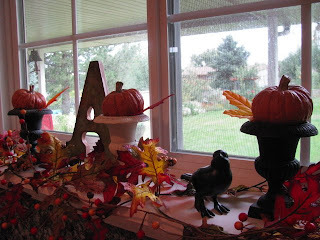 I guess I'll have to think of a way to add a few G's to our home decor :>) I hope you have a lovely day! i love all of your "A"s. i only have one "C" but i'm sure i'm on my way to collecting. I do so love your blog and ideas -- was sent by cherries jubilee --- I am so glad !! - how delightful -- the == A - thing makes me laugh -- because I now have about 5 K's in my art studio -- some not finished -- a K almost 3 feet tall out of mache (unfinished ) Gotta get busy !! I ust finished getting one for my sons room!! love it, as usual. 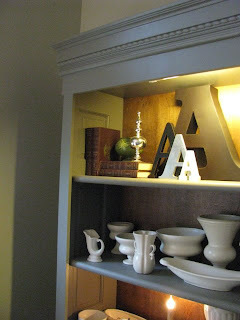 I have a M wall in my kitchen and was just thinking the other day~that is going to be my thing I collect! Thanks for posting this! Got lot's of wonderful ideas for Christmas decoration from your post.